At B&B Treetopping we always enjoy receiving feedback from our customers. Not only does it let us know what we’re doing right, it also tells us how we can provide even better service. 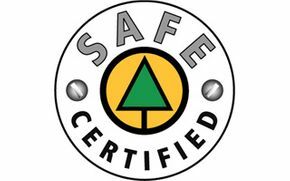 Take a look at the testimonials below to learn what some of our customers are saying about our services and then contact us to discuss how we can provide a solution for your tree problem. "Our neighbors had expressed some concern over a few trees that they thought were threatening their property. I called Kevin from B&B Treetopping to assess and do the work of topping, falling and chipping. They did a professional job at a reasonable price ($1400 as compared to another quote of $4500). Thought you might want to know." "Kevin and his crew did just a wonderful job—they were so quick and cleaned up the site very well. Thanks very much." "I have been a business owner and operator for many years and I know that some of the secrets of success are service, courtesy to and consideration of your clients, image, having the right product, being professional, and charging a reasonable and fair price. You have demonstrated all of these and the emails are just intended to reinforce your efforts. Keep it up!" "We called Kevin when our power line, shop and garage, as well as a neighbour’s cabin were threatened by a real S.O.B. of a tree. He arrived promptly and removed our problem tree in a thoroughly professional manner at the price quoted. We can recommend Kevin for the quality of his work, as well as for his pleasant manner." “Bonnie and I can’t thank you enough for the amazing job you did for us. Your consideration and professionalism are very much appreciated. I will send you a series of emails with photos and videos attached, but keep in mind that this is the first time I have used this phone camera for taking videos. They are not bad, but not as good as if I had some experience. Please share these with Steve, as I promised to send them to him through you. “I will send a letter that shares our complete satisfaction with your work to the 27 residents on our side of the lake, as well as to Dale G., a friend who lives on the other side. I’ll ask him to spread the word on that side of the lake, as well. Jake Felce, the owner/operator of Bucking Horse Construction in 100 Mile House is coming to see us today and I will share the letter with him, too. "Bonnie and I have had experience with three different tree toppers and fellers and thanks to the recommendation of both Doug and Robert White, we discovered Kevin Birch of B&B Treetopping. In the close to fifty years since I first set foot on our property at Ruth Lake, many of the trees have grown considerably. And we were concerned both for safety and getting more light into our property. The first tree climber we hired three years ago to top one tree did a reasonable but not great job and we felt charged more than was appropriate. The second fellow who came last year did a good job at a reasonable coat, but required that we be the ground crew and he did not have Work Safe insurance and could therefore not hire helpers, and all of the branches had to be gathered and loaded onto his truck which he then took away to dispose of. We called Kevin Birch on a Friday. He came to our property with his tree climber the next day and within 45 minute gave us a quote to top or fell sixteen problem trees for us. They were both neatly turned out and professional and explained after marking trees in addition to the ones we had selected, why these trees should be felled or topped as well. They would remove all of the branches and scrub material as well as cutting the fallen trees into manageable size for stove or fireplace burning. And gave us the choice of keeping thin wood, or they would take and donate it to needy families. They came on Monday and Tuesday and did the work for us and all of the scrap wood and branches went through their chipper into Kevin truck and were taken away. Kevin Birch runs a professional operation. He charged us a very fair price to do this work, got the job done efficiently and quickly, and then quietly left to spend the remainder of the week doing work for friends and neighbours- families like us who respected both the work and cost charged for the work they had done. I highly recommend Kevin and his company B&B Treetopping and am sure you would be please with any work you asked them to do. The attached picture and video will give you an idea of how well they work, including the zip line transporting the top of a tree on the lake shore over our house to the chipper Watching them do thin tree was worth the price of admission!